When I was a child, this was where I went when I wanted to be on my own. A walk along the edge of open fields leads to a track which crosses the railway line and gives access to an area of uncultivated wetland known as Botany Bay (or, as we children invariably called it, “Botney”, omitting the second syllable and the second word). This photo is taken from just the other side of the railway, looking back towards it. Off to the left as you look at it is the sluicegate which terminates the stub of Lakenheath Lode and allows access to the wetland proper, while behind me as I took this, the path continues to another bridge across into the marsh. I could, and often did, spend all day there on a summer Saturday or during the school holidays. When I got older I’d take the boat out on the river, rowing alongside the poplar plantations in Joist Fen. Some things have changed since I lived there. The poplars have gone, to be replaced partly by farmland and partly by a nature reserve. The farm track which crosses the railway has been downgraded to a footpath with stiles instead of gates either side of the line. A solitary wooden plank which acted as a footbridge across one of the drainage dykes has been upgraded to a proper steel bridge with handrails. The bridge cross the Lode into the wetland is also just a footbridge now. And, because none of these tracks carry farm traffic any more, everything is more overgrown. But, otherwise, it’s all very much the same. There wasn’t anything particularly unusual about this visit; I’ve been back several times since moving away and, while infrequent, I still like to take a walk in my old stamping grounds when I can. This time, I went over with my brother so that he could show me his small fleet of boats that he hires out to customers at his camping and caravan site. But what made it different is that this was the first time that I’d taken Ellie, my eldest daughter, with me. On the way back, she tugged my arm and said “Dad, this place is really beautiful”. “I know”, I said. “This is where I grew up, and I used to come over here a lot”. “Wow”, she responded. “You must have been really lucky to have a place like this”. She’s right, of course, although at the time I didn’t appreciate it that much – it was just what I was used to. 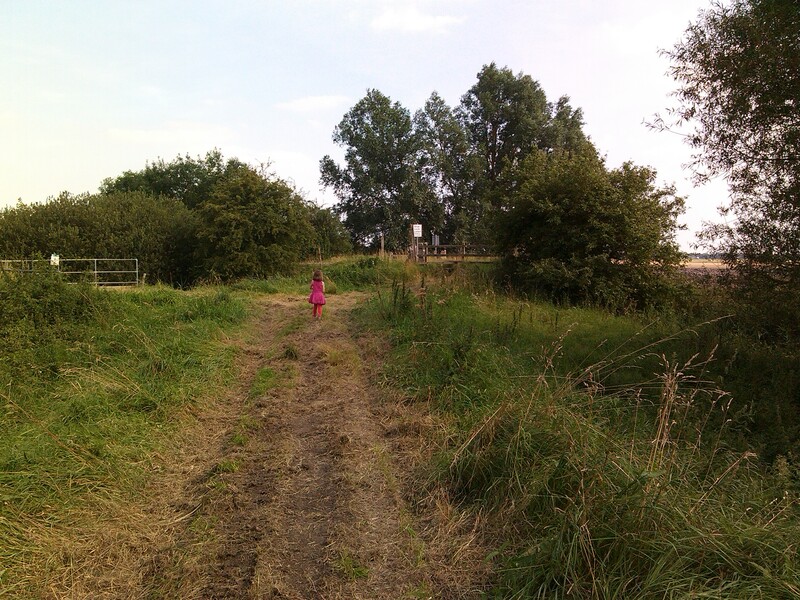 I don’t yet know what Ellie’s favourite places will turn out to be – she’s still only 5, which is a bit younger than I was when I first discovered Botany Bay – but I hope that when she’s the age I am now, she has as many good memories of them as I do.